Are you a continous tweeter who doesn't care about how much you tweet a day? And all of a sudden your tweets reaches thousands and more and then you start wondering what was your first tweet and find no way to recover what you've tweeted all these days? Twitter shows your tweets in your stream based on number of tweets and weeks. That means, if you've more tweets in a week it takes time to load all your tweets in your timeline which would make older tweets disappear from your timeline. Well, believe it or not, most of us would have tried and so did I. I've have my time searching for archiving my tweets via various third party twitter applications. 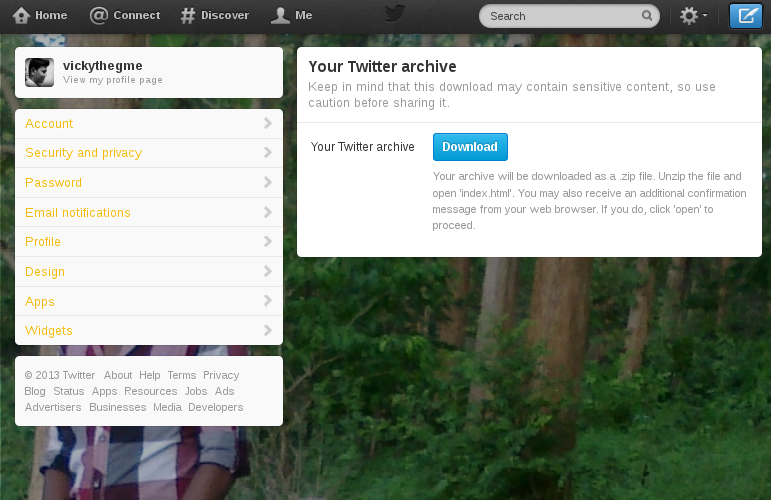 Twitter guys released in their blog that there is an inbuilt Twitter Archive facility to archive all your tweets. It is also said that the facility is rolling out slowly and is available to only in some users as of Dec 2012 and hope its available to you as well. 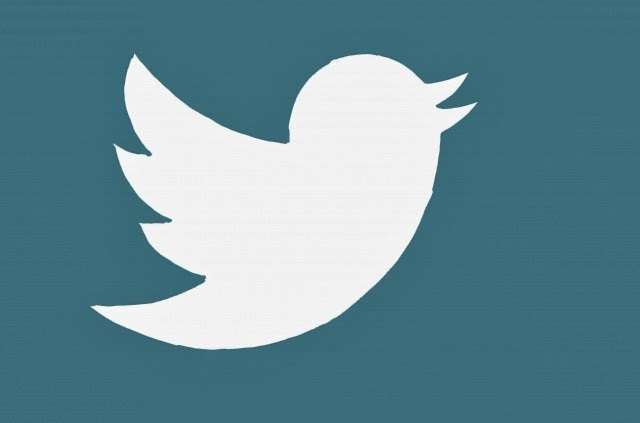 Here are the steps to follow to download your twitter archive. 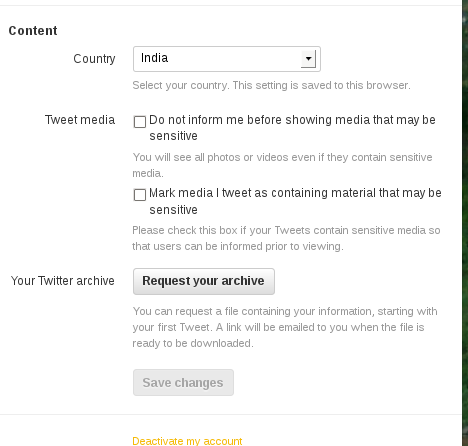 Go to Settings page where you'll find something as "Your Twitter Archive" as in the image below. If you don't find the "Request Your Archive" button as in the image above, then unfortunately it is not rolled out there yet. 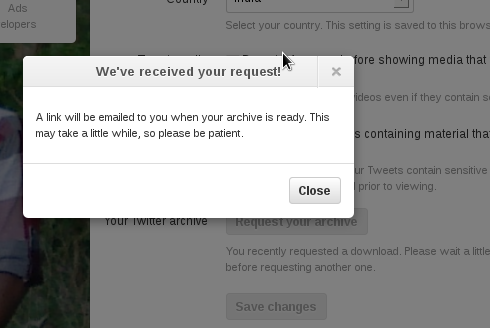 Click on the "Request Your Archive" button and you'll receive an alert message as shown in the image below. You'll receive an email from twitter along with a link to download your twitter archive within minutes. When you click the link, it will redirect you to the download page like the image above, where you can download your twitter archive. Also view the tools that will help you manage your tweets.